Previous image, 99 total items. Next image, 99 total items. Pristine wilderness, glacial lakes, colonial streetscapes, convict heritage, renowned modern art and native creatures compete for your focus in this island state. Tasmania may be Australia’s smallest state, but its attractions are many: seafood fresh from the water, heritage architecture, rugged coastlines and remnants of colonial history. 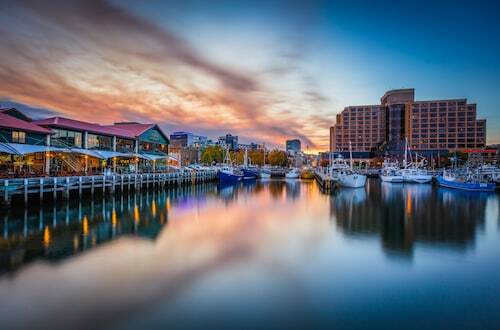 Hobart, Tasmania’s capital, features creative culture, galleries, museums and unique markets. From Mount Wellington, high above the city, enjoy panoramic views over the Derwent River and rolling hills that give Hobart its natural beauty. 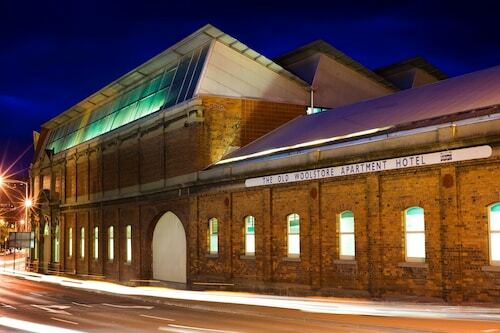 Enjoy the art and food culture of Hobart’s Salamanca Markets held amid 19th-century warehouses. Ferry to MONA for an unforgettable modern art experience. Wander through sub-Antarctic plants at the Royal Tasmanian Botanical Gardens. Finish your day with a tour and tasting at Cascades Brewery. Explore Port Arthur’s penal colony. A guided tour reveals the harsh lives of prisoners once incarcerated here. Stop in at enchanting eastern coastal towns for fresh seafood and stunning sunsets. Swim in the crystal-clear waters of the Bay of Fires, surrounded by boulders bright orange with lichen. Don’t miss secluded Freycinet Peninsula. Spend the day kayaking between white-sand beaches and enjoy fresh oysters and local wines at Coles Bay. Go north to Tasmania’s second-largest city, Launceston. The Queen Victoria Museum and Art Gallery features the state’s cultural and natural history and colonial artists’ depictions of Tasmania’s wilderness. Meet the Tasmanian Devil at the Tasmania Zoo. Walk or ride the chairlift over the Esk River and rainforest at Cataract Gorge. Take a daytrip to the Tamar Valley to tour lavender and strawberry farms and visit vineyards. Wander through formal gardens of 19th-century colonial English manors at Clarendon and Woolmers Estates. Glide among the treetops on a cable adventure or head to Ben Lomond National Park ski fields in winter for snow sports. In the northwest, you’ll find Tasmania’s best walk, through the breathtaking mountain scenery, button grass fields and glacial lakes of Cradle Mountain Lake St. Clair National Park. Southwest is Strahan, a small port town. From here, take a boat tour to see the World Heritage-listed Franklin-Gordon Wild Rivers National Park. Wombats, wallabies and echidnas abound in this pristine island wilderness. Its beaches are long and secluded, its waters azure and its history fascinating. Enjoy the tranquility of this beautiful, isolated island of rolling green hills set amid crashing waves. Friendly locals will make sure you feel welcome. 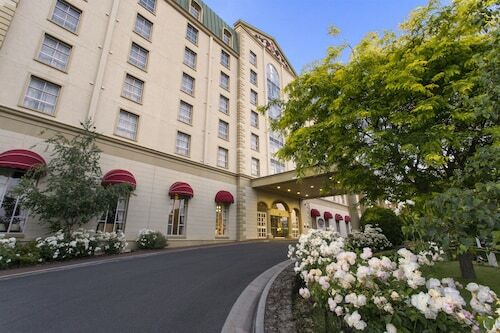 Located in the center of Hobart, this family-friendly hotel is within a 15-minute walk of Franklin Square, Theatre Royal, and Parliament House. Salamanca Market and Royal Tasmanian Botanical Gardens are also within 2 mi (3 km). 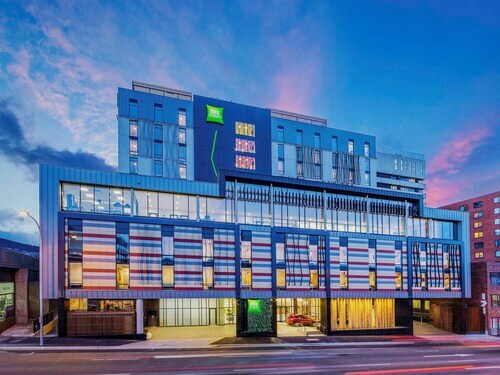 Located in Hobart Central Business District, this hotel is within a 10-minute walk of St. David's Cathedral, Franklin Square, and Australian Army Museum Tasmania. Parliament House and Playhouse Theatre are also within 10 minutes. 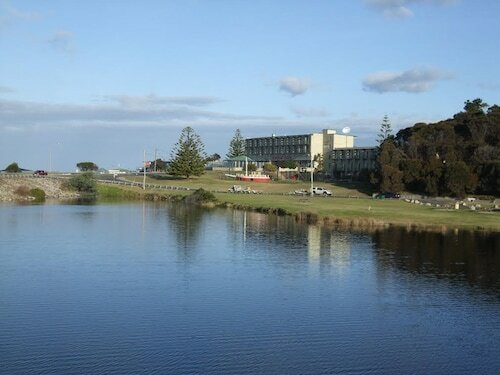 Situated on the waterfront, this luxury hotel is within 2 mi (3 km) of Wrest Point Casino, Salamanca Place, and Salamanca Market. Constitution Dock and Hobart Cruise Terminal are also within 3 mi (5 km).